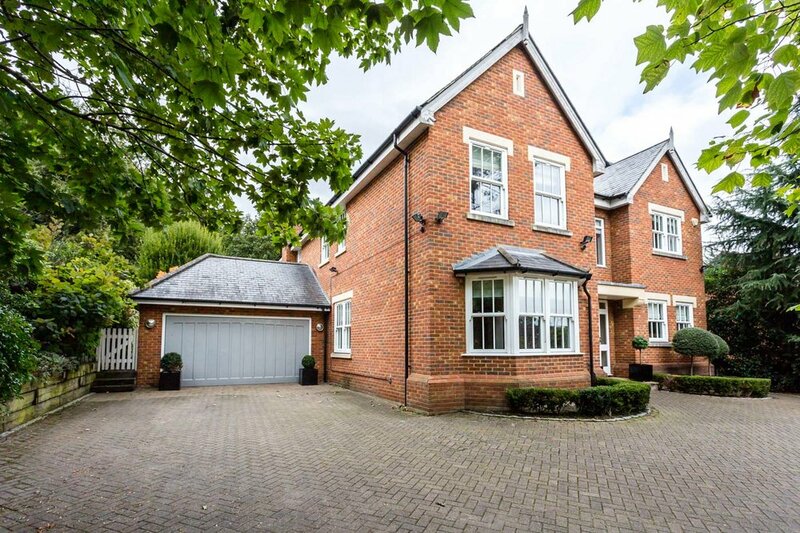 We are delighted to offer this impressive five bedroom detached house which boasts spacious and bright accommodation of approximately 3,534 square feet spread over two floors. 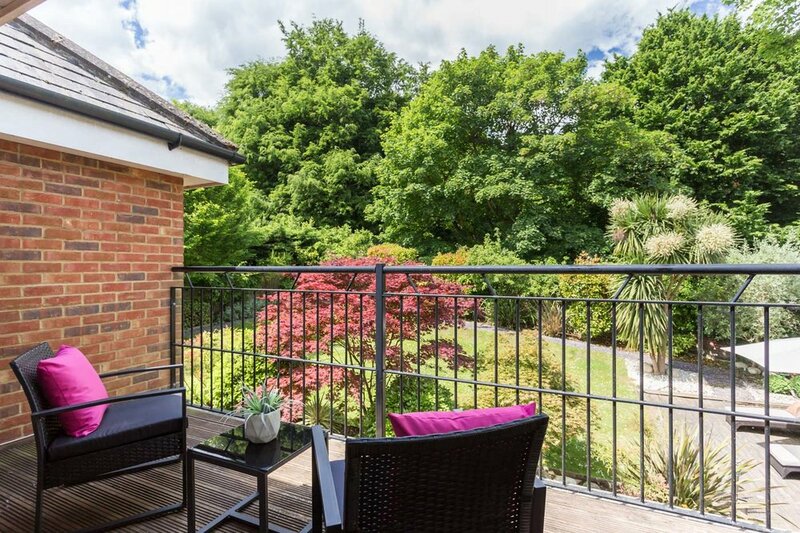 The property, part of a private cul-de-sac development of only 7 properties, backs onto Richmond Park and enjoys stunning views from the Master Bedroom balcony. The current owners have redesigned the kitchen two years ago, and have regularly maintained the property to the standard that it is now. Kingston Vale is a highly regarded residential area with tree lined roads and has a pleasant community spirit. 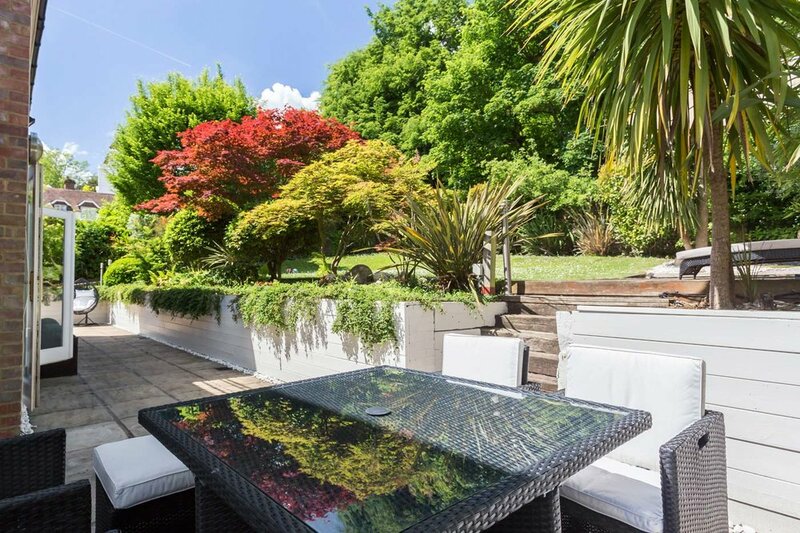 The property is conveniently located close to Kingston town centre with its excellent shopping facilities, with the nearby A3 trunk road offering fast access to central London and both Gatwick and Heathrow airports via the M25 motorway. Train stations at Norbiton and Putney provide frequent services to Waterloo with its underground links to points throughout the City. The immediate area offers a wide range of recreational facilities including three golf courses, tennis and squash clubs. 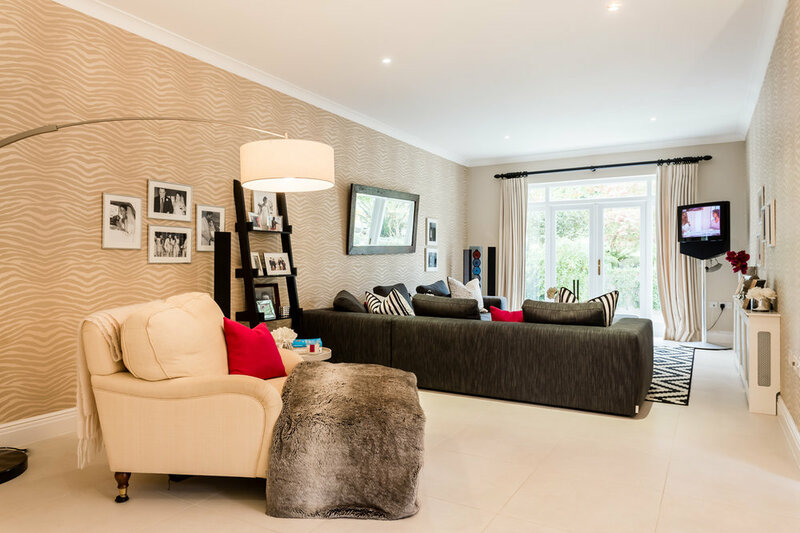 Within walking distance is Richmond Park with its 2,036 acres of open park land and natural beauty, providing a picturesque setting in which to picnic, go horse riding, jogging or just to take a leisurely walk. Theatres at Richmond and Wimbledon are also popular alternatives to the West End, together with an excellent choice of restaurants. There are also numerous public, state and international schools in the vicinity including a well respected primary school at its heart. Approached from the private driveway through electric wrought iron gates opening onto a secure driveway for several cars with access to the converted garage and rear garden. On the ground floor, an obvious characteristic is the flow of light throughout, executed by the use of glazed and half glazed doors to individual rooms, large windows and low voltage lights. The solid front door, flanked by glazed panels, opens onto a welcoming galleried entrance hall with tiled flooring, low voltage lights and a sweeping staircase leading to the first floor. Double doors open onto the spacious double aspect drawing room with a Victorian cast iron coal effect fireplace and limestone surround. Benefitting from access to both the rear garden and side of the property via tall French doors. The fantastic kitchen/breakfast/family room, running along the full depth of the house, is divided visually into three separate areas, providing different spaces for the contemporary lifestyle. The new kitchen installed two years ago, comprises German lacquered wall and base units, with a composite worktop and glass splashback. The range of integrated appliances includes Siemens 5-ring gas hob with Elica angled extractor hood above, Siemens dishwasher, double Siemens ovens, tall AEG fridge/freezer and an AEG under counter freezer. Features such as a Quooker tap, impressive storage solutions to the units and undercounter lighting have all added to the quality and practicality of the kitchen. The breakfast area with a large window to the side and half glazed door to the utility room, is the perfect transition to the family area, which in turn is bright with French doors to the rear garden. The utility room is double aspect with access to side, offers ample wall and base units for storage, space and plumbing for washing machine and tumble dryer and a Husky drinks cooler. The front sitting room with its bay window to the front driveway is perfect for formal entertaining and could be also used as dining room with easy access to the kitchen and entrance hall. It benefits from wood strip flooring and wall mounted speakers. The study next door, is furnished with beautiful bespoke cabinetry comprising a unit with cupboards, drawers, shelving and work desk and a further base unit with cupboards and drawers. Flooring is again wood strip, and the room offers views to the side of the property. The tiled guest cloakroom, elegant and bright, is also tastefully designed with a modern countertop wash hand basin inset into a marble worktop with ample storage below, a wall mounted WC with concealed cistern and a wall to wall mirror which creates a deceptive sense of width. From the entrance hall, the stunning Oak staircase leads to the galleried landing, which in turn enjoys views to the front via the tall window and the gallery overlooking the ground floor. There is a large airing cupboard housing two Megaflo hot water cylinders. 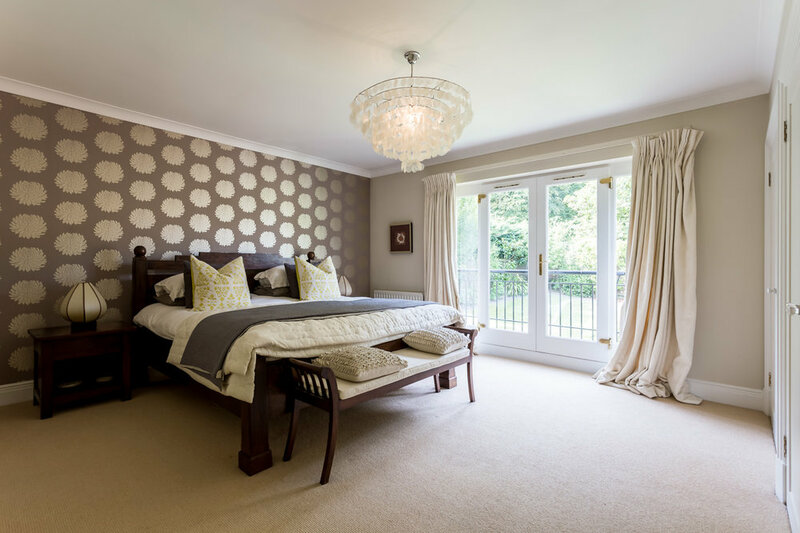 The rear aspect master bedroom, with the addition of a balcony has views over Richmond Park, is spacious and bright and has an en suite dressing room, fully equipped with fitted open shelving and hanging, providing ample storage space. The en suite bathroom is contemporary, with an elevated wet area comprising the free standing composite bath and the screened off shower area, both fully tiled and provided with display alcoves and step lighting. Plenty of special features, such as the extra wide wall mounted wash hand basin, the illuminated mirror above with an integrated shaver socket within and the Hansgrohe bathroom fittings all add to the luxurious design. 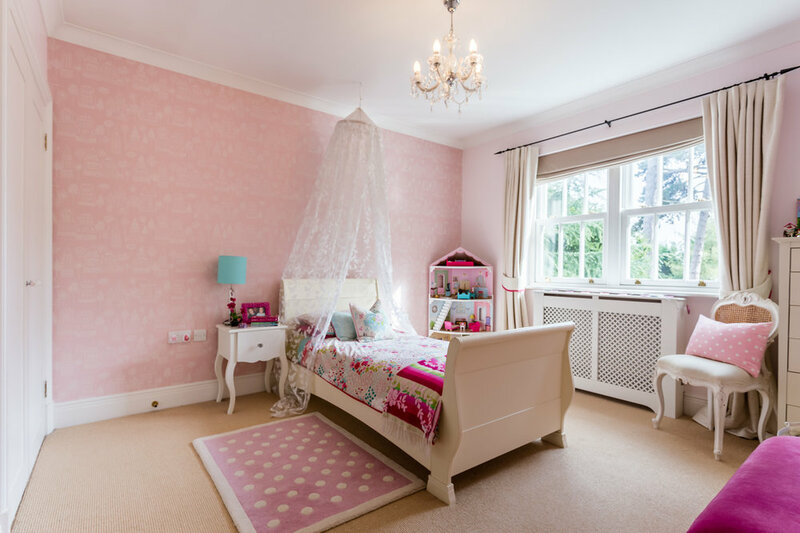 There is a further double bedroom, rear aspect and with French doors opening onto a Juliet balcony with views over the garden and the park, which benefits from having an en suite bathroom as well. A family bathroom and three other bedrooms are all located on this floor, one of which is equipped with projector, wall mounted electric screen and wall mounted speakers as it is being used as a cinema room. Access to the fully boarded loft is from bedroom three. Outside, there is an integrated double garage which has been converted to a gym/games room, accessed from the rear garden and with laminate flooring, low voltage lighting and housing the Worcester boiler. The paved path to the outside of the drawing and family room leads to two separate seating patios, with steps leading up to the mainly laid to lawn fully irrigated area and a decked area on this level. The split level garden enjoys seclusion, with mature trees, including some apple trees ample shrubs and plants to the perimeter. Access to the front of the property is from both sides via secure gates.